I’m one of those brides who carried a purse on their wedding day. Some may ask: “Why do I need a purse?” Well, it’s possible that you don’t need one as you MOH may carry your wedding day items or perhaps you think that you don’t need to carry anything on your wedding day. As I got married on my family’s ranch and could just go into my house and get whatever supply I needed, I wasn’t using my purse for that purpose, instead I carried my wedding vows and an embroidered blue heirloom handkerchief in mine. 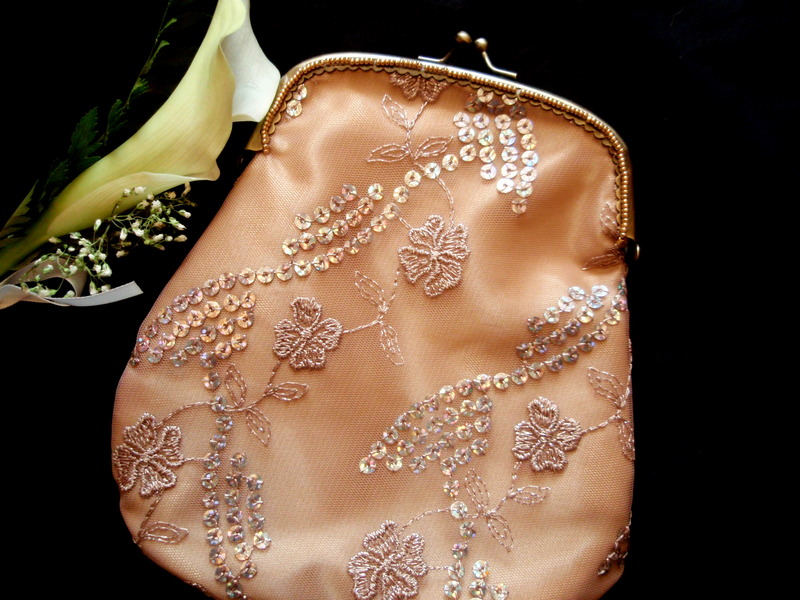 My bridal purse was made out of the same materials as my wedding gown and jacket and matched perfectly. I wore it draped on my arm and it complemented my ensemble perfectly. When the time came for me to read my vows I wasn’t improperly fishing them out of my bra or asking my MOH for them — instead I elegantly opened my little silk purse and retrieved them. 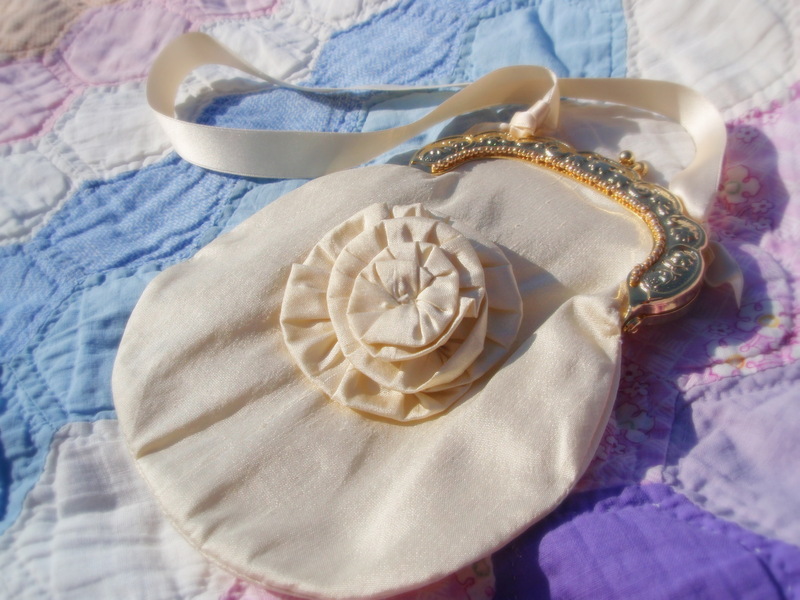 My bridal purse is made out of silk dupioni with a Victorian reproduction brass purse frame. 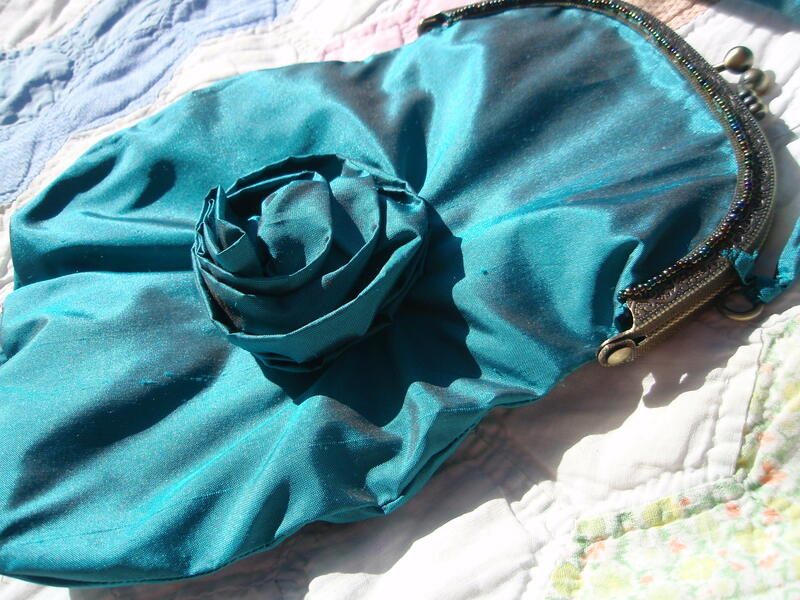 It has a silk ribbon handle, a silk rosette in the center and is also lined with silk. 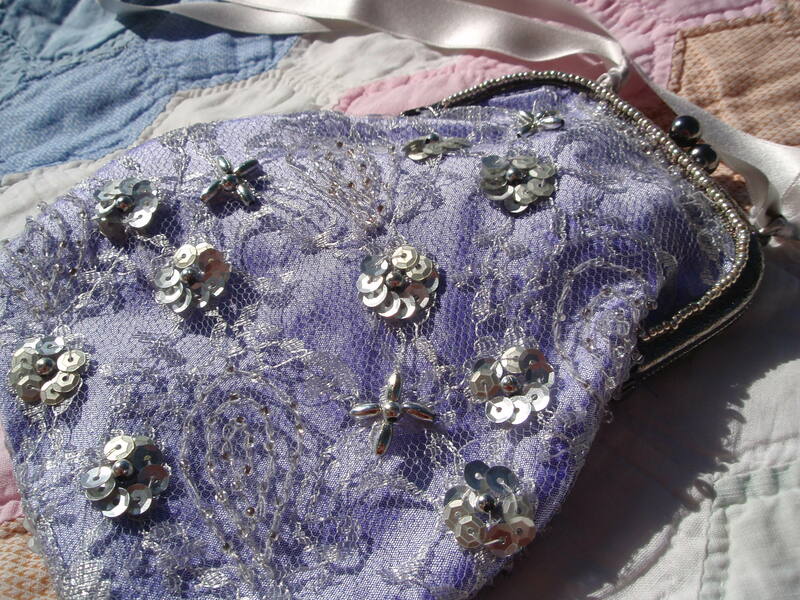 I also made this purse for my mother-in-law with the same fabrics from her Edwardian style my gown. It is champagne satin with an embroidered and sequined net overlay, a gold purse frame and hand-beaded with gold Czechslovakian seed beads. I wanted to make one for my mom, too, but she doesn’t carry small purses (my mom is a woman who likes to carry everything with her! lol). I considered making them for my bridesmaids as well, but as I had a large bridal party and was making their dresses, I didn’t go that route. 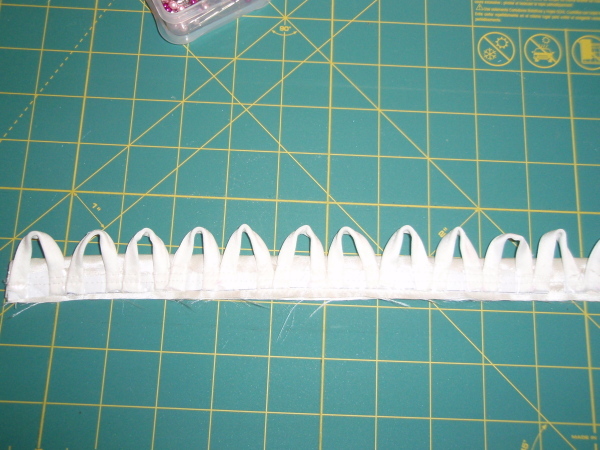 I did make one for my maid of honor out of her royal blue crepe back satin dress fabric with a chiffon rosette and blue beadwork, but didn’t take a pic of it….. Here are some samples of a few purses that I’ve made which are for sale in my etsy shop. 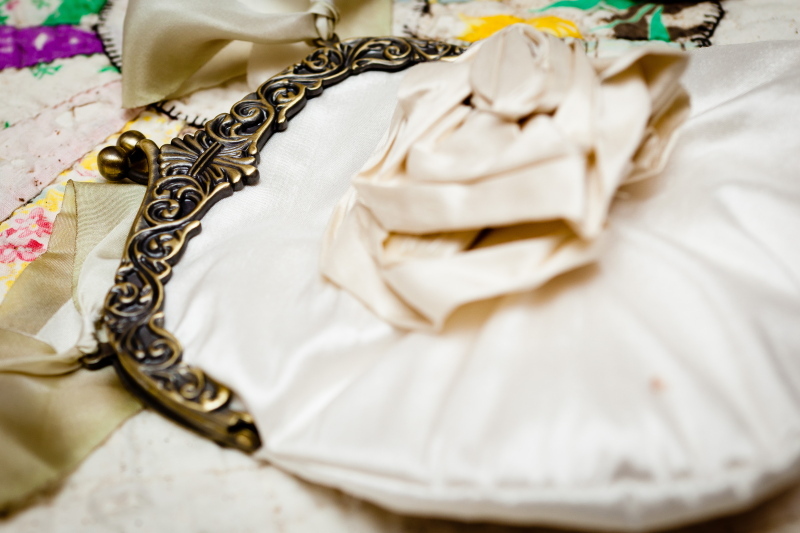 There is an Italian tradition that a bride carries a purse called a bomboniere on her wedding day to keep cash in it. She carries it around to her guests to collect their monetary gifts. I thought I would use mine for the same purpose, but at my wedding, the guests put their bills in our cards, so I suppose our card box served that purpose. 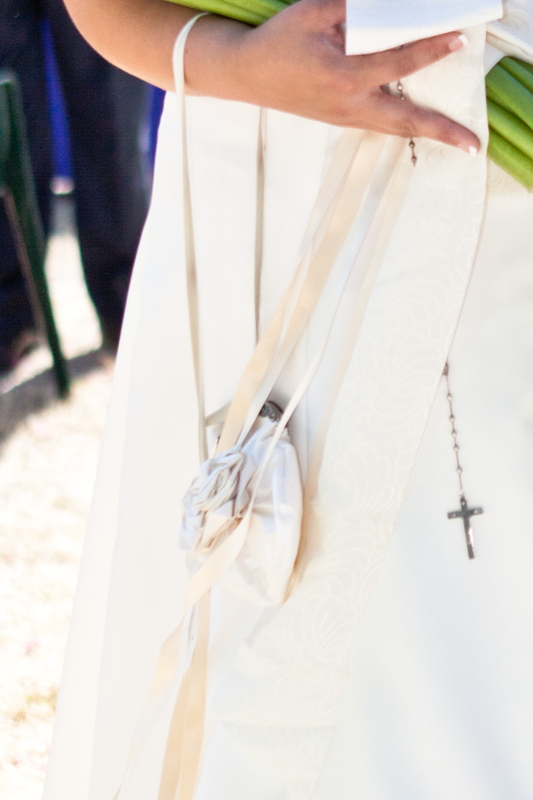 Carrying a bridal purse on your wedding is a personal decision. 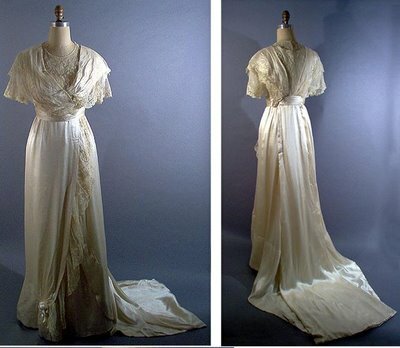 Some brides may prefer to simplify their trousseau and others may want to accessorize and add their own unique personal touch.